A brand new, entry level photographic introduction to birds and bird watching, featuring 150 of the commoner bird species most likely to be seen in the fields and gardens of Britain and Northern Europe. The user-friendly introduction covers geography, climate, taxonomy and nomenclature, habitats, bird identification, and the best places to watch birds. Common birds are then identified using six descriptive groups: seabirds, waders, birds of prey, game birds, woodpeckers and other exotic-looking birds and passerine (perching) birds. Peter Goodfellow is a retired school teacher and lifelong birdwatcher. He is a past Chairman of Devon Birdwatching and Preservation Society, and is regularly involved with BTO surveys. 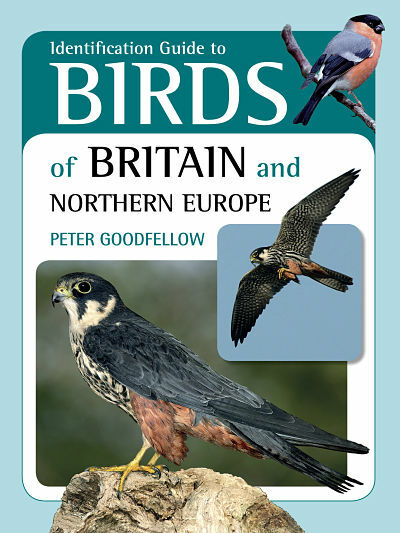 His previous publications include the AA Illustrated Birds of Britain & Europe and A Naturalist’s Guide to the Birds of Britain and Northern Europe (John Beaufoy Publishing). He lives in Devon. Paul Sterry is one of the UK’s leading wildlife and natural history photographers, with more than 40 highly successful books to his name. Originally trained as a biologist, he uses his knowledge of natural history and ecology to take images that depict wildlife in a natural context, and celebrate its beauty. He lives in Berkshire. Size 228 x 178 mm / 9” x 7”. 160 pages. Words 25,000 approx. Illustrations c200 colour photographs.